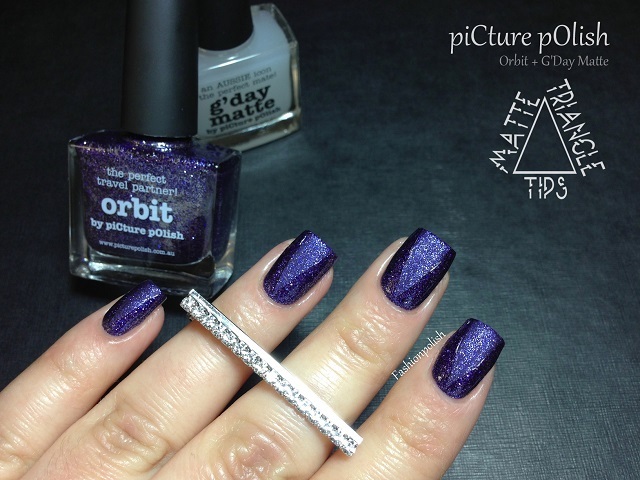 Fashion Polish: piCture pOlish Orbit + G'Day Matte : Matte Triangle Tips! 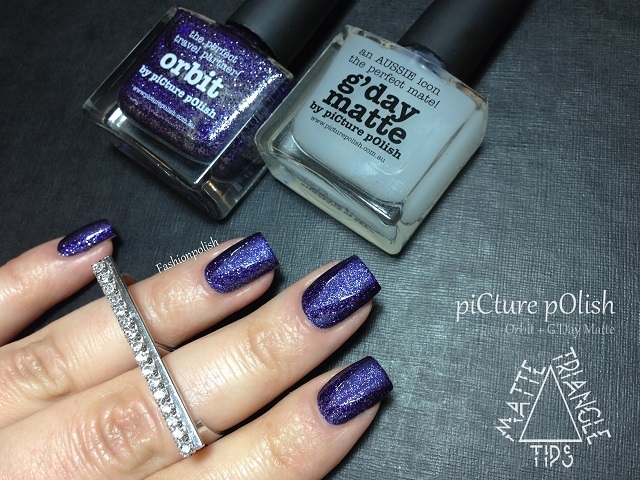 piCture pOlish Orbit + G'Day Matte : Matte Triangle Tips! Today's post is a very simple nail art that I just loved wearing! I have a soft spot for geometric designs (might be the math nerd in me haha) and this one's no exception. I had been eyeing Orbit for a while now and I couldn't be happier with it! 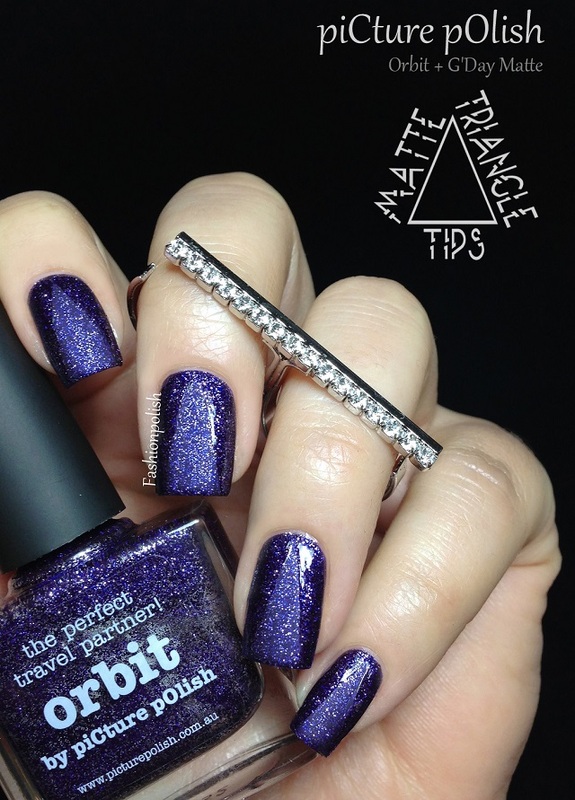 Metallic glitter bomb of blurple and silver microglitter in a sheer blue base, non-gritty, slightly thick but manageable, application was easy but coverage simply outstanding! I used two very thin coats here but when I applied it on my right hand for "real life" one coat felt opaque enough. As for G'Day Matte, I was seriously impressed : true matte and fast drying, LOVE! 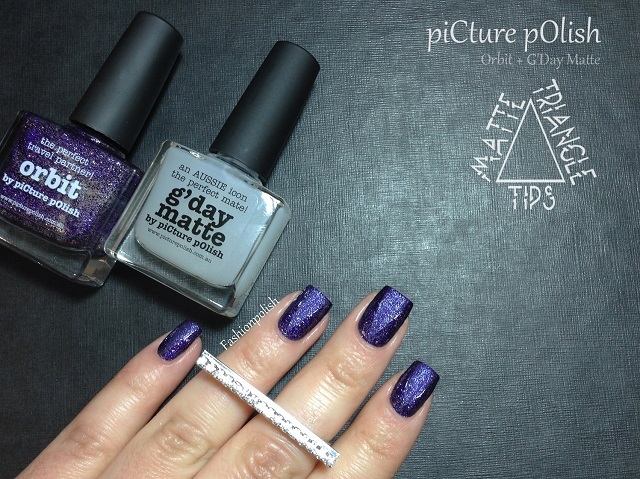 piCture pOlish Orbit and G'Day Matte retail for AU$10 and can be purchased directly from piCture pOlish.com.au or through their international network.